487 pages | 15 B/W Illus. 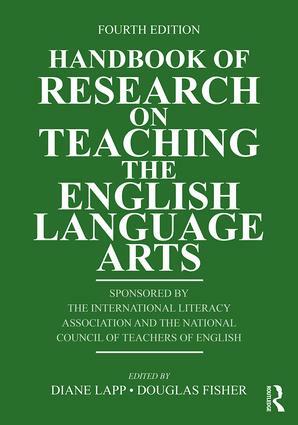 Now in its fourth edition, the Handbook of Research on Teaching the English Language Arts – sponsored by the International Literacy Association and the National Council of Teachers of English – remains at the forefront in bringing together prominent scholars, researchers, and professional leaders to offer an integrated perspective on teaching the English language arts and a comprehensive overview of research in the field. Reflecting important developments since the publication of the third edition in 2010, this new edition is streamlined and completely restructured around "big ideas" in the field related to theoretical and research foundations, learners in context, and new literacies. A Companion Website extends and enhances the Handbook with a wealth of additional resources. Addresses all of the language arts within a holistic perspective (speaking/listening, language, writing, reading). Is well grounded and balanced in theory and research while promoting validated practice. Features authors who are known for their expertise and who represent diversity in culture, years in the profession, and geographic location. Gives attention to special populations and instructional contexts. Has the authority of a research handbook while remaining practical for students in masters and doctoral classes. Diane Lapp is a Distinguished Professor of Education in the Department of Teacher Education at San Diego State University, USA. Douglas Fisher is a Professor in the Department of Educational Leadership at San Diego State University, USA. Both Lapp and Fisher are teacher leaders at Health Sciences High and Middle College in San Diego, CA.